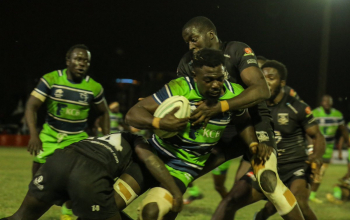 Impala Floodies defending champions KCB received a major boost as Kenya Simbas winger Darwin Mukdiza and flanker Andrew Amonde are available to face Homeboyz RFC in Saturday's semis at Impala Club starting 7.30pm. Mukidza and Amonde are both in the Kenya Simbas squad that will head to France next month for 2019 Rugby World Cup repechage tournament but are named to start against Homeboyz. Amonde starts at blindside while Mukidza is at fullback replacing last weekend's starters Brian Nyikuli and Elphas Otieno respectively. Martin Owillah is also available at second row pairing man of the match against Mwamba Francis Mwita, another Simbas international Peter Kilonzo starts at outside centre, Marlin Mukolwe replaces Michael Wanjala at scrum-half as Shaban Ahmed moves from 12 to fly-half. 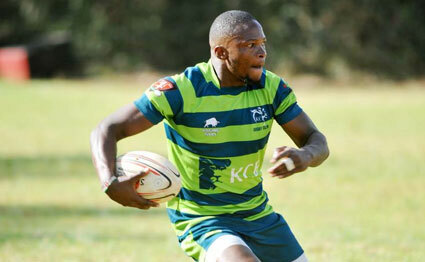 KCB beat Mwamba 25-10 in last weekend's quarters while Homeboyz saw off Nakuru 37-30. The Deejayz have Nyakundi as the evening's scrum-half with Kenya Simbas international Moha Omollo not available for the KCB game. Henry Ayah is also not part of the squad and will be replaced by Johnstone Olindi at fullback. 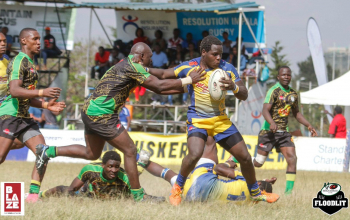 Homeboyz have a number of Sevens players available including Charles Omondi and Brian Wandera while Brian Ayimba, who has featured for Catholic University at the ongoing Varsity League, makes the bench. The KCB-Homeboyz game will be the late kick-off at 7.30pm with the winner set to take on either Impala or Strathmore as the two square out at 5.50pm.